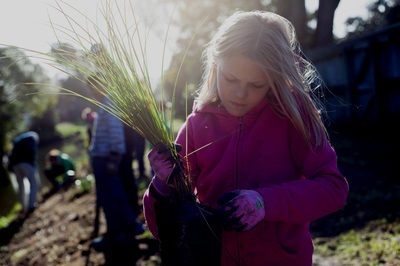 St. Paul's Planting Days are usually in the afternoons on Sundays in June and/or July. ​Look forward to seeing you on the stream bank sometime! 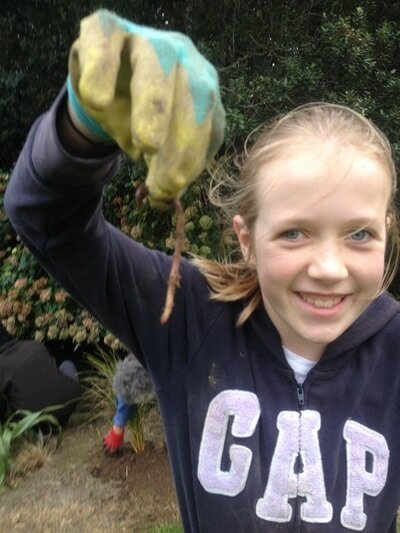 Talk to Caro for more info. 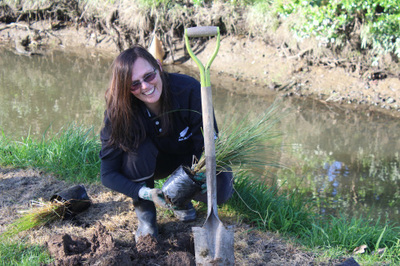 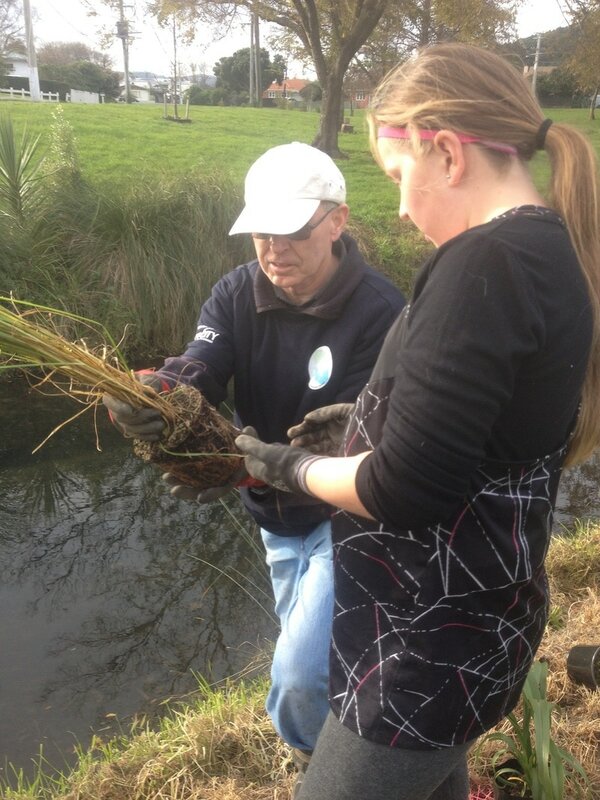 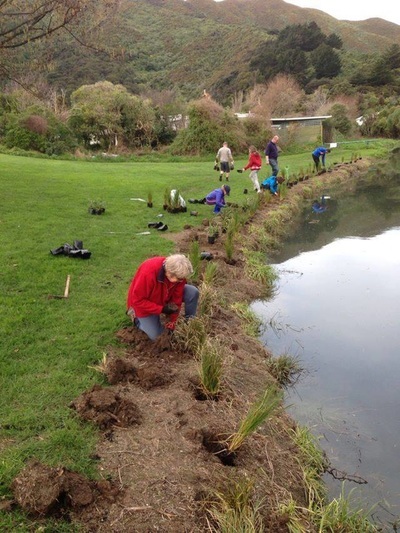 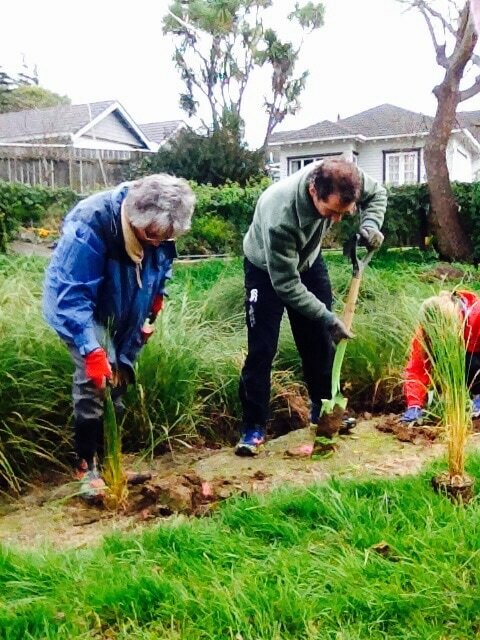 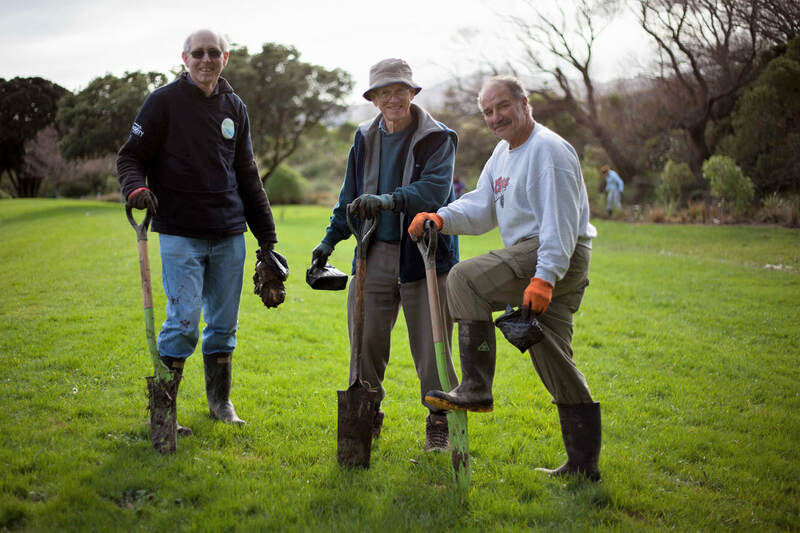 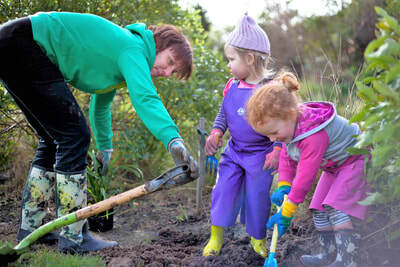 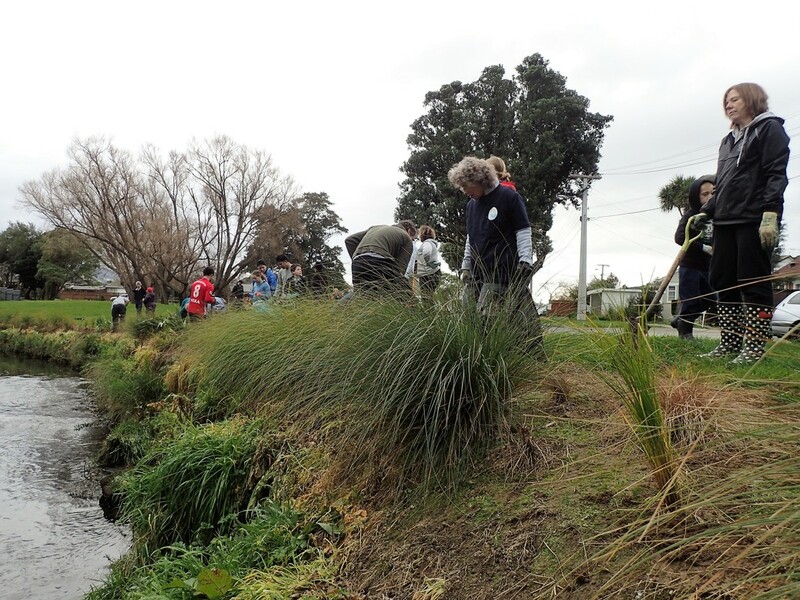 If you are keen to get involved in the ‘Friends of Waiwhetu Stream’ plantings see their website for more details. 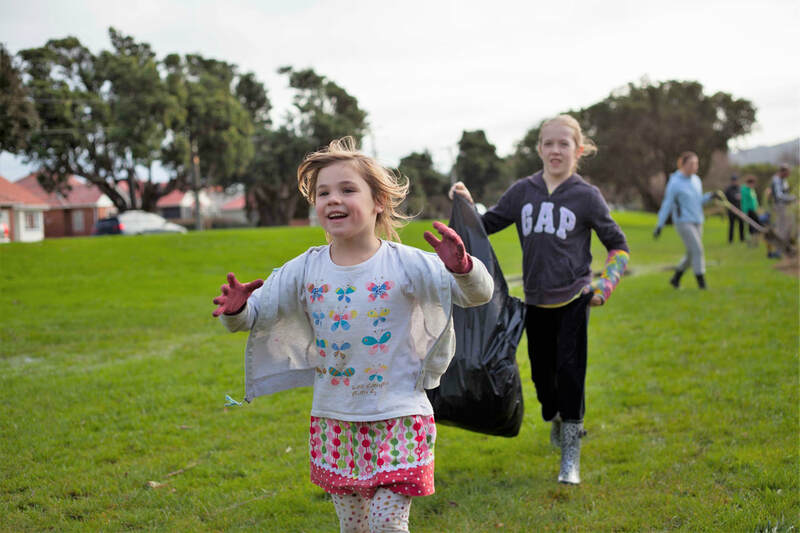 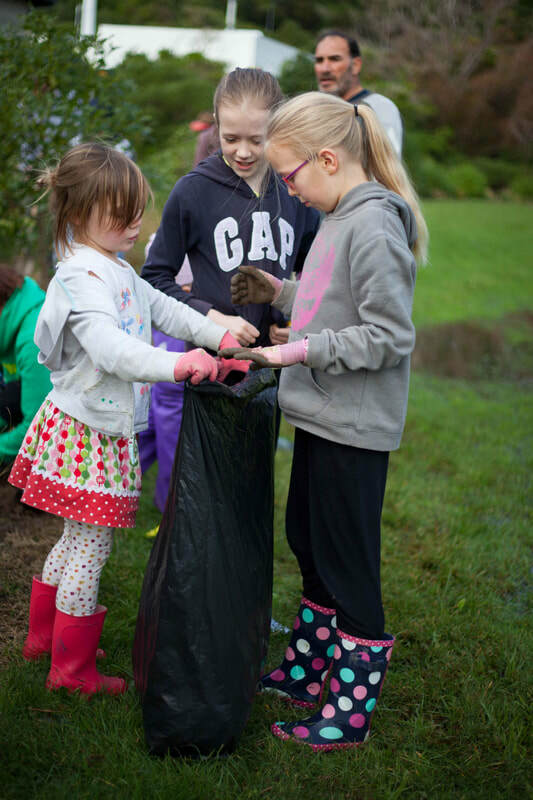 In 2013 St Pauls Anglican Church became a 'Friend', a member of the Friends of Waiwhetu Stream community group. 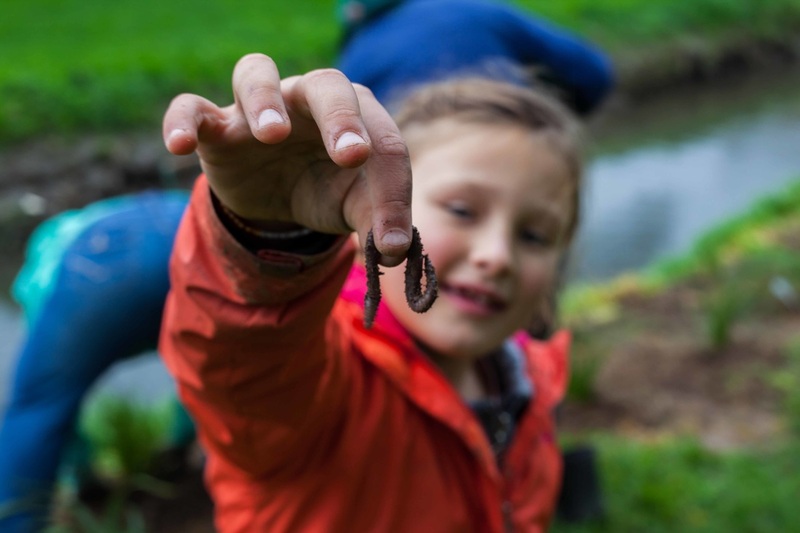 The vision of the Friends of Waiwhetu Stream is to see the stream become a healthy functioning ecosystem treasured and enjoyed by our community. 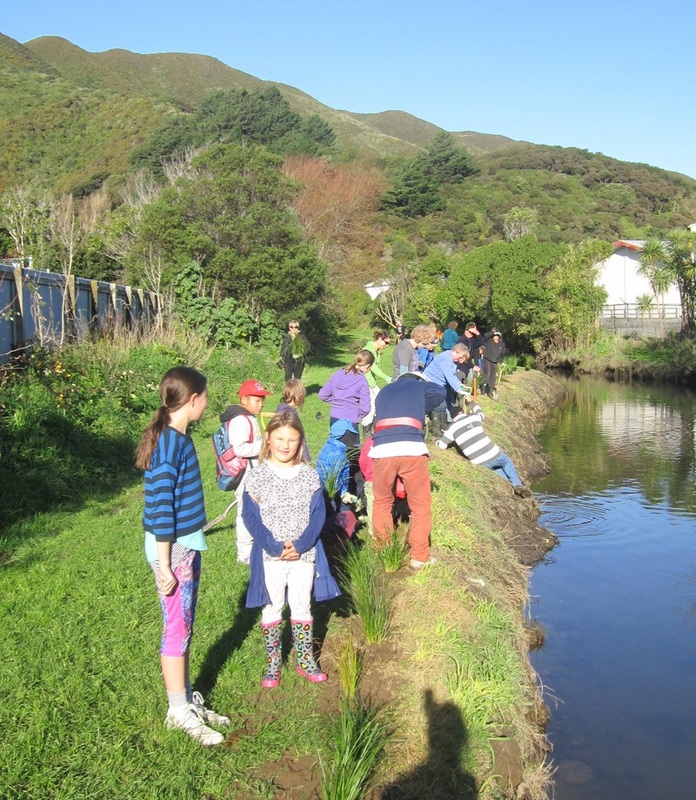 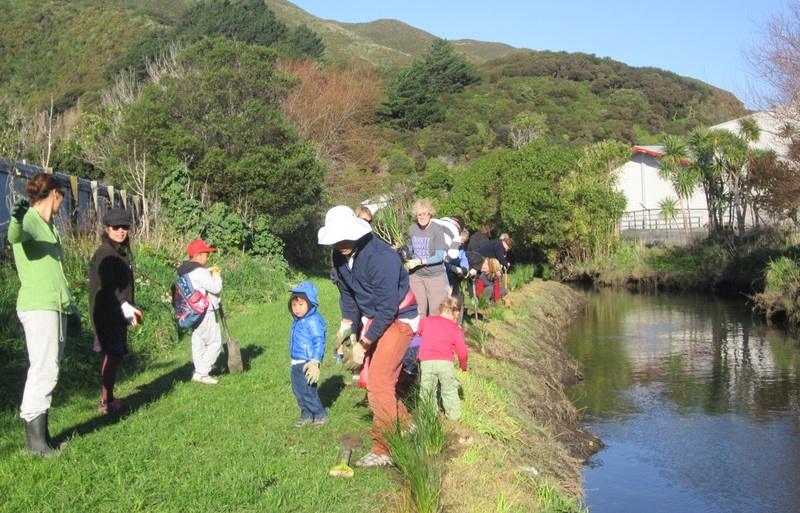 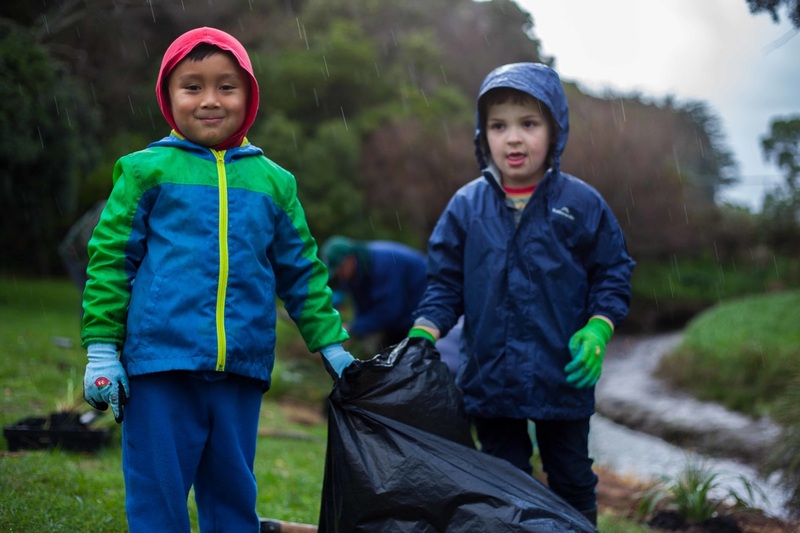 St Pauls has joined a wide range of groups, organisations and individuals who are all 'Friends' of the Waiwhetu Stream and have an interest in the achievement of this Vision. 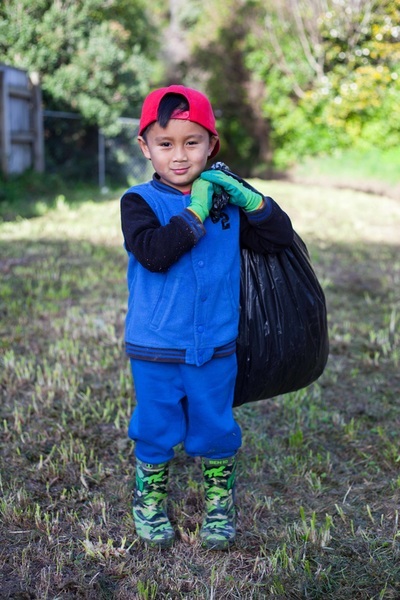 The Friends of Waiwhetu Stream define the role of the 'Friends' as ones who will engage with agencies and others advocating for the community to achieve our Vision. 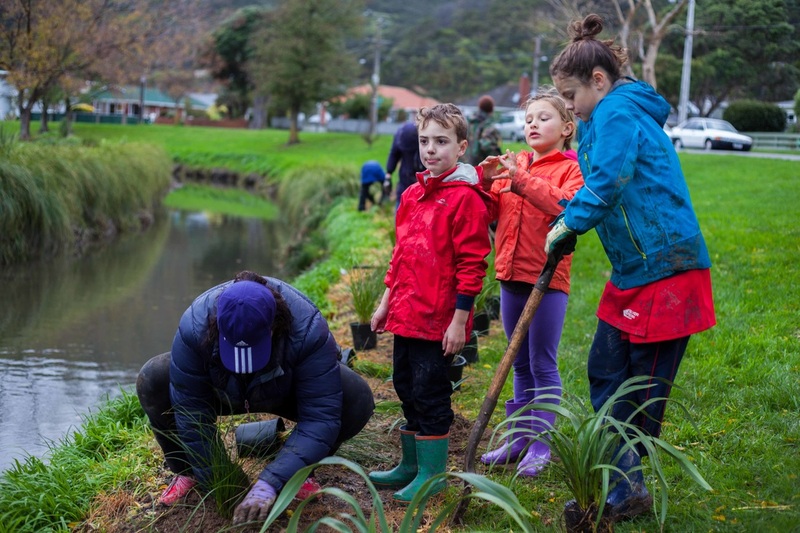 The 'Friends' encourage the community to take responsibility for the kaitiakitanga/guardianship of the Waiwhetu Stream environment so the community will achieve the Vision. On 29 July 2018, a beautiful warm and sunny winter's afternoon, we planted along the stream bank on Riverside Drive North, downstream from Burnside Street. On 18th June 2017 an awesome group of adults and children planted a new 50 metre strip on Haywards Tce opposite Mawson St plus infill planting at the far end of Haywards Tce due to plant deaths from 2016. 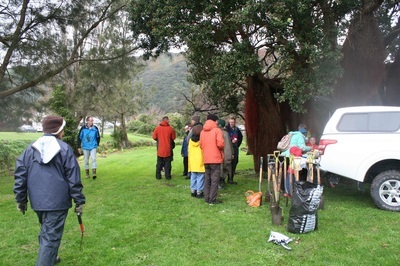 The sun shone till we'd finished afternoon tea, then a shower arrived but we'd finished our afternoon's work. 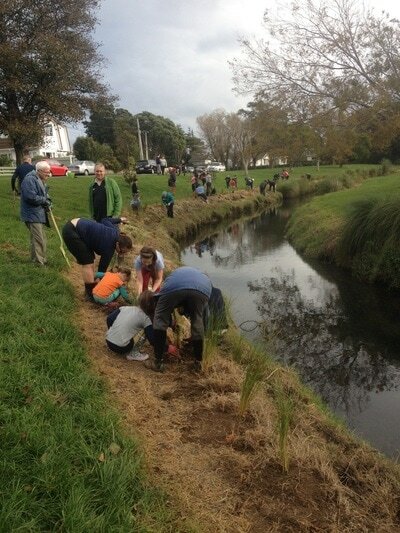 On 23rd July 2017 we planted a section of Riverside Drive South, in rather boggy conditions after some rainy winter days, and just before the high tide, as the stream is tidal there. 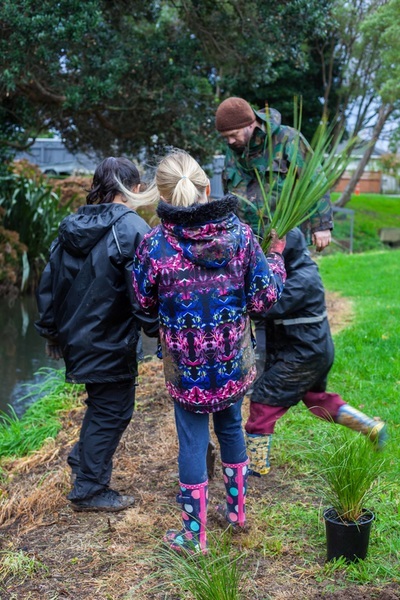 A really enjoyable afternoon was had by all, especially the children and the not so young playing in the mud! 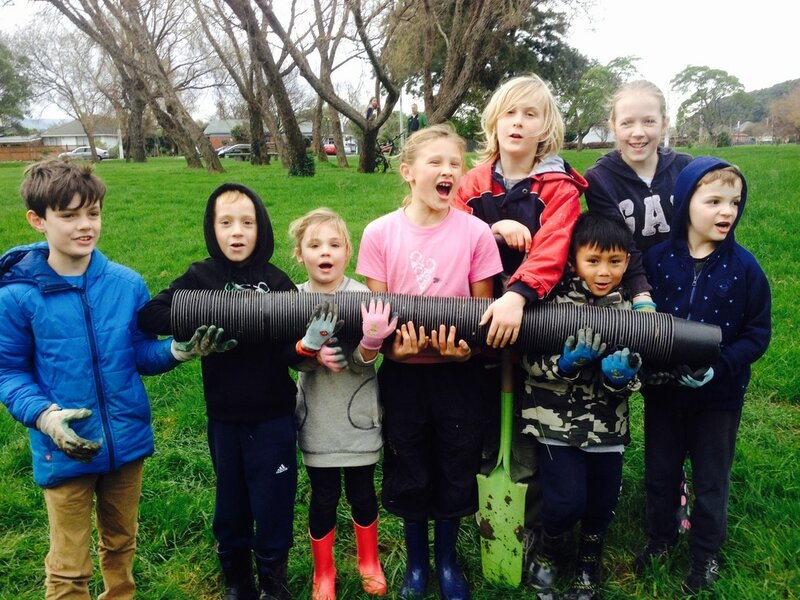 On 26th June 2016 a large group from St Paul's and friends planted in the rain at the far end of Haywards Tce. A great time was had by all. On 24th July 2016 the sun shone and we planted on Riverside Drive opposite Whakataki Grove, and a little further downstream, just up from Wainui Road Bridge. 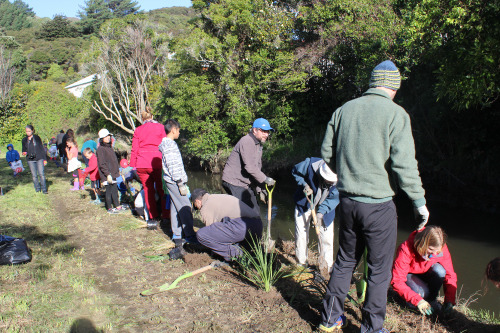 On June 21st 2015 a beautiful Sunday afternoon saw St Pauls volunteers and friends plant 81 plants upstream from the initial planting. 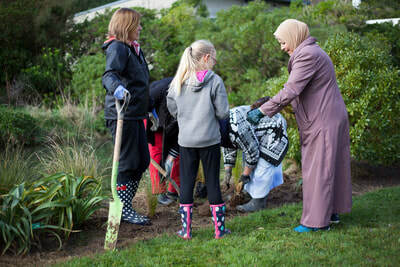 With 25+ adults and 20+ kids the planting was done so quickly that there was time to weed the original planting as well. 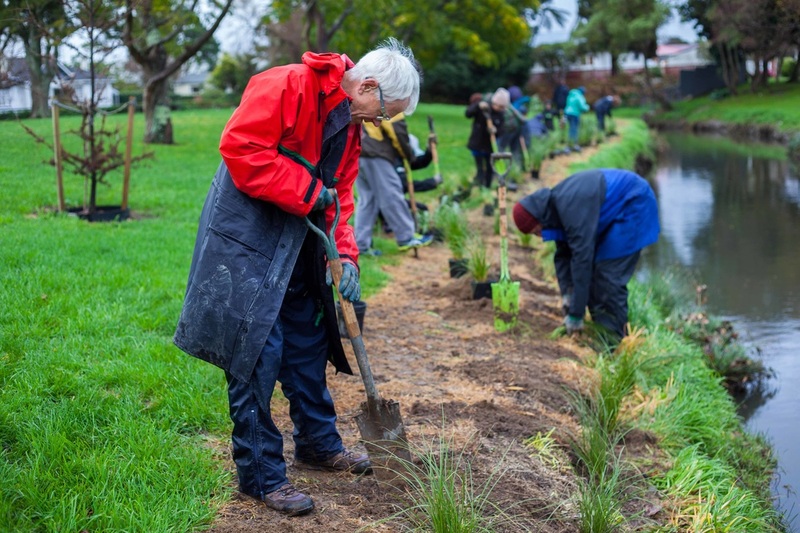 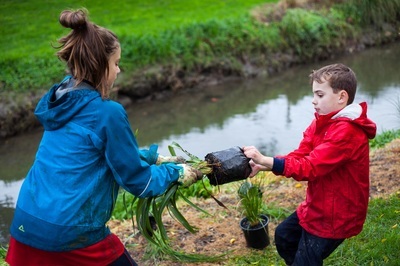 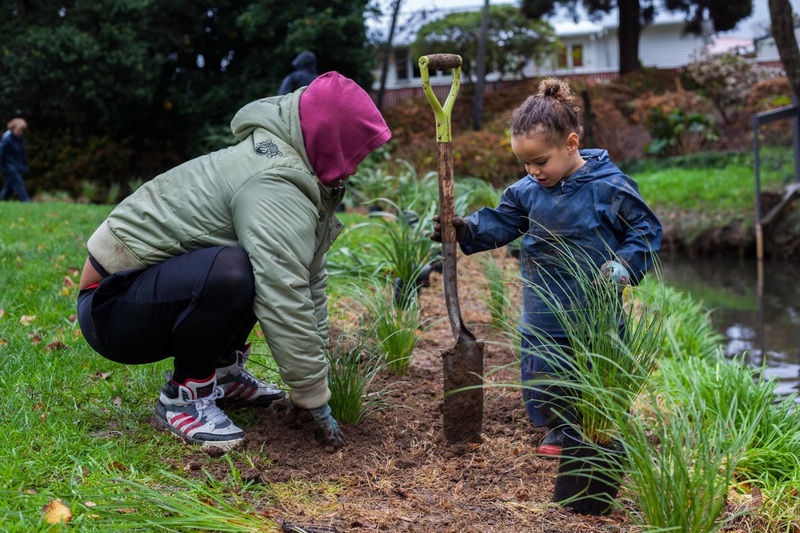 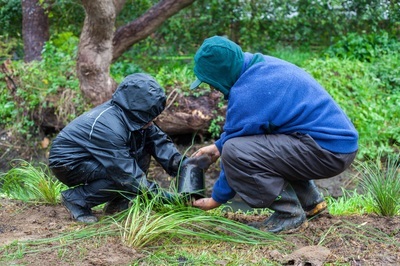 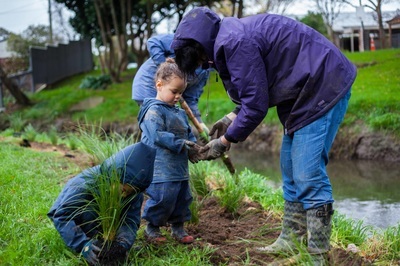 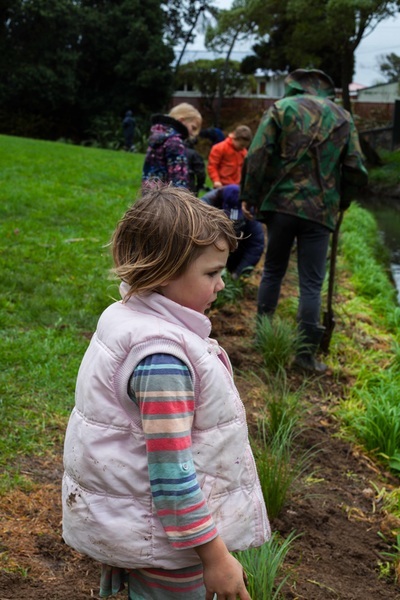 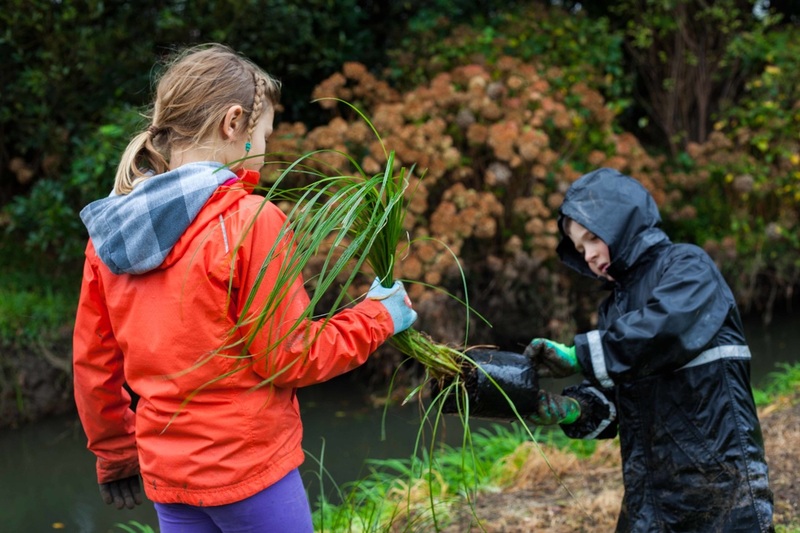 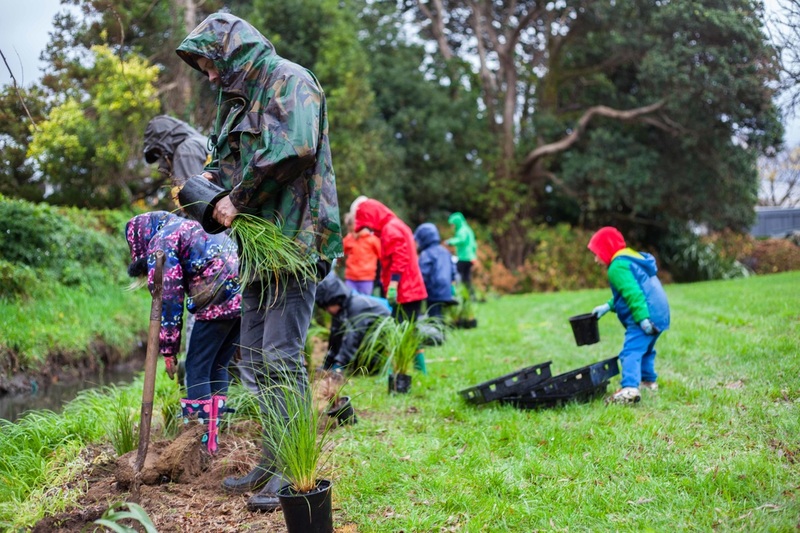 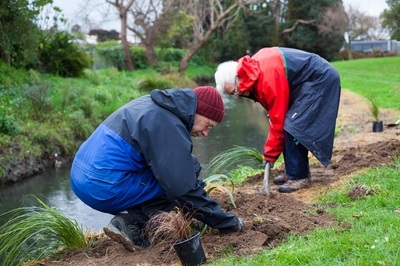 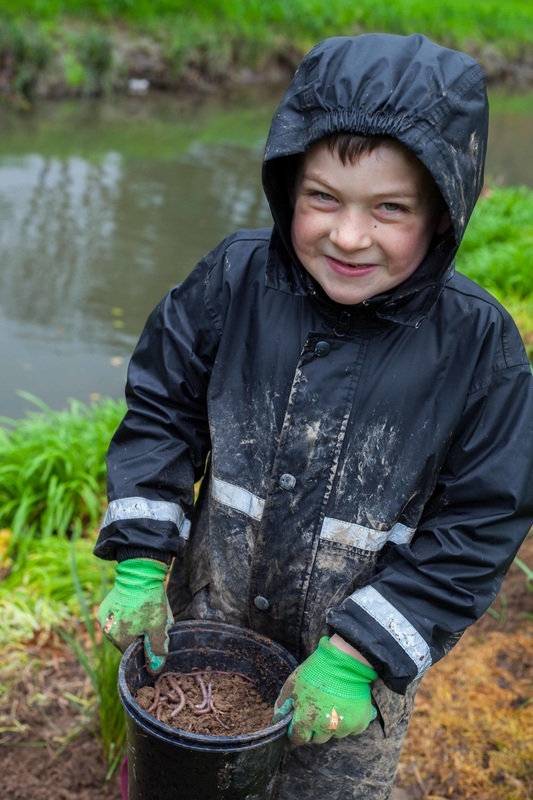 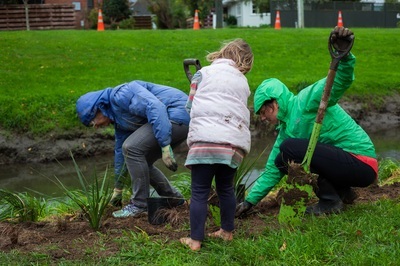 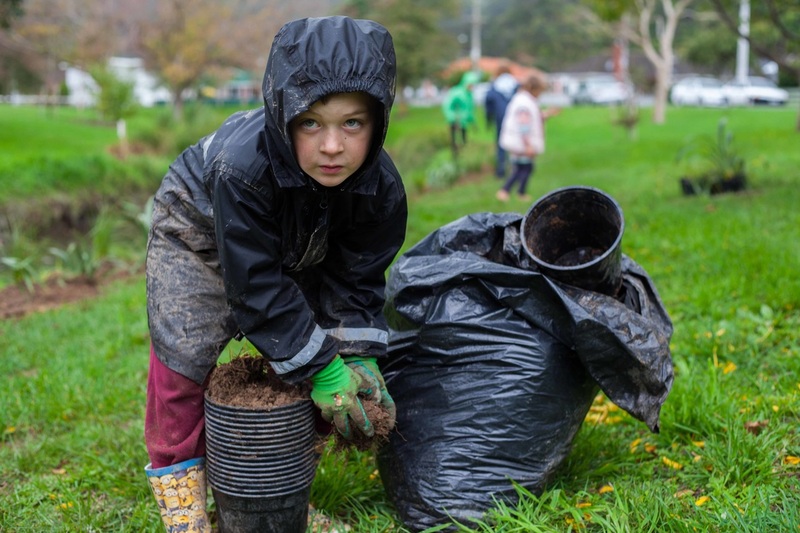 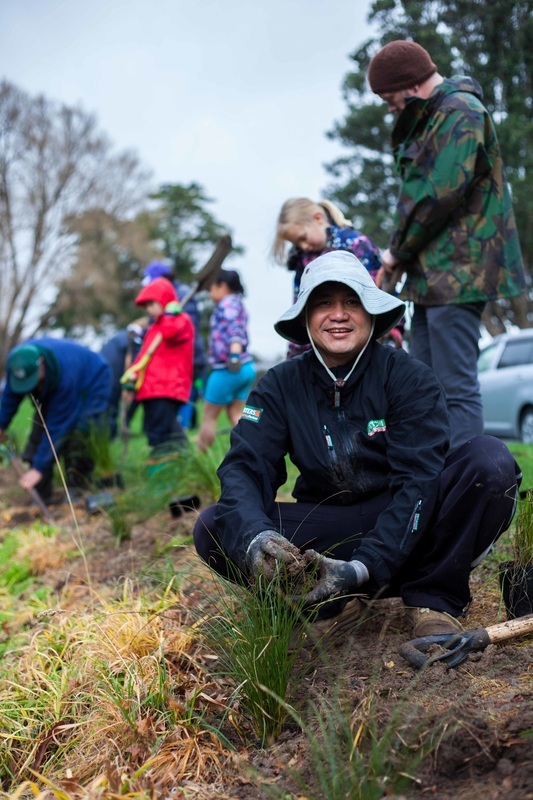 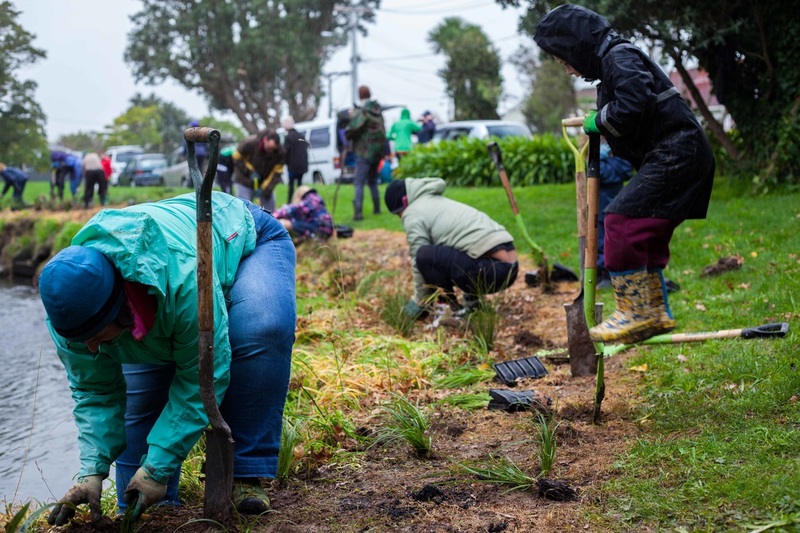 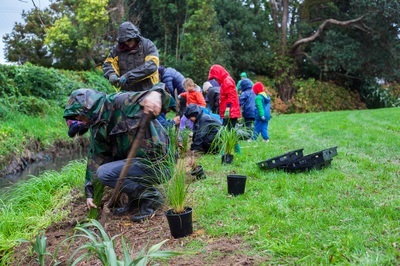 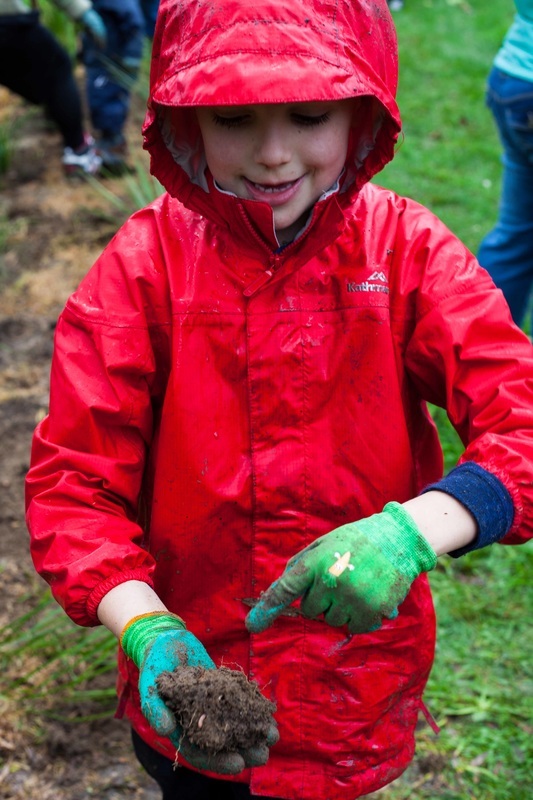 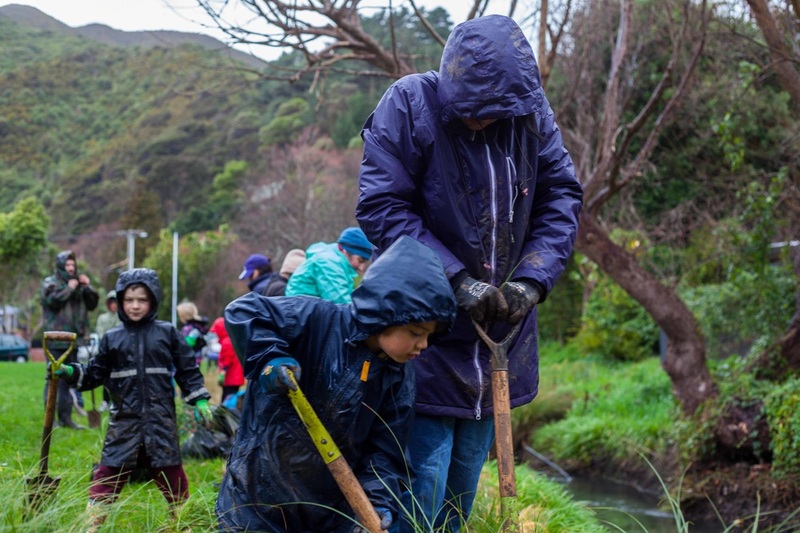 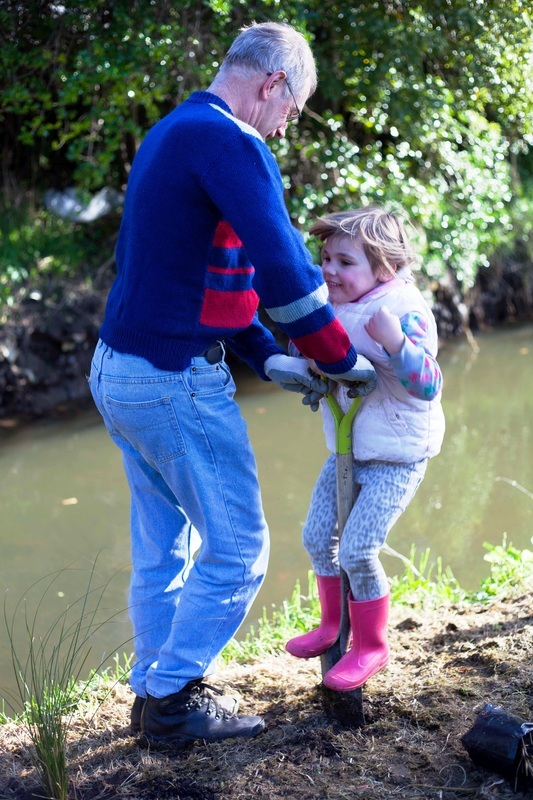 On Saturday August 1st 2015 St Pauls churchgoers and friends gathered in the rain on the Waiwhetu stream bank of the old Griffins factory for the second planting of the season. 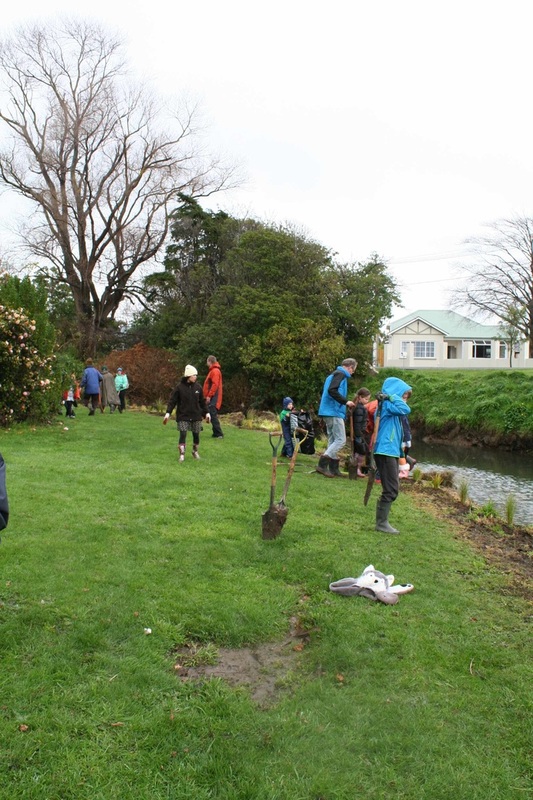 This land, on the other side of the stream from our original planting, is now owned by Flight Plastics. The rain very obligingly cleared for us and we worked together to plant 120 plants in the bend of the stream. 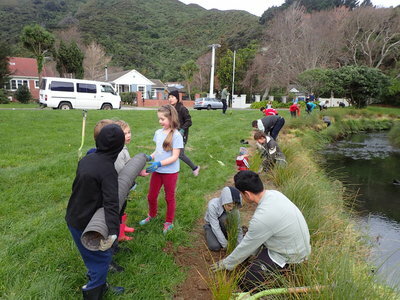 After the planting we had afternoon tea which was kindly provided by the council and we heard from Merilyn, from Friends of Waiwhetu Stream, about the importance of the planting and how it will protect the īnanga (whitebait) breeding grounds. 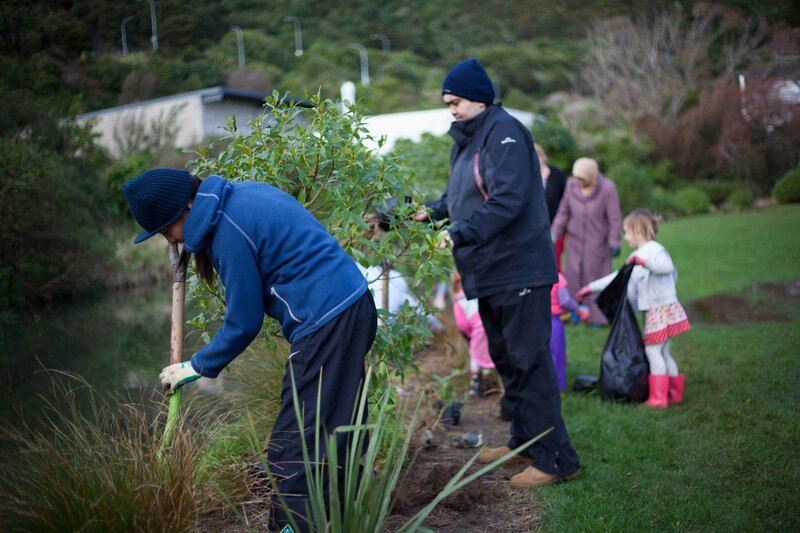 Thank you everyone for a most successful planting! 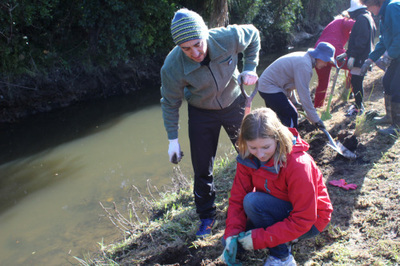 On August 4th 2013 Fiona Perkinson organised St Pauls volunteers in the first planting of the St Pauls section of the stream, on Riverside Drive between Waitui Crescent and Whakataki Grove. 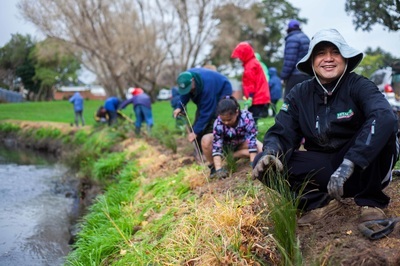 The carex grasses and other native plants that were planted nearly two years ago have grown beautifully to now fill the banks of the stream. 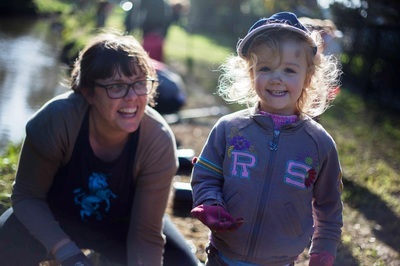 ​Thanks Diana Caro and Colin for the wonderful photos. 2017 July are at the top, then older ones. 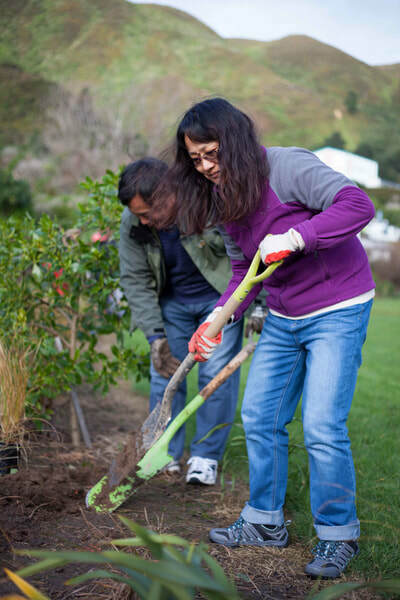 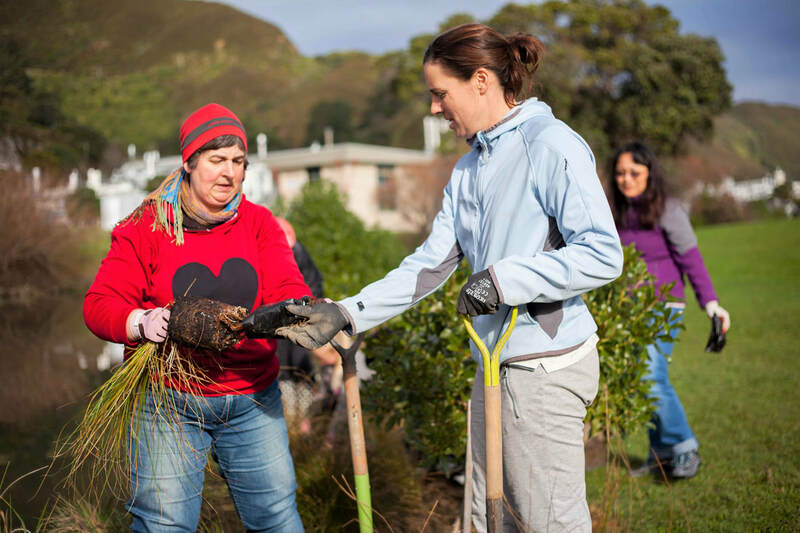 The Hutt City Council provides amazing support to this project by supplying all the plants for the plantings as well as gloves, tools and afternoon tea on planting days. The Hutt City Council also liases with the Friends of Waiwhetu co-ordinator to arrange what needs planting and where. The Friends of Waiwhetu workers prepare the area for planting by clearing and spraying the weeds. St Pauls Church is needed to organise and provide the volunteer power on planting days! 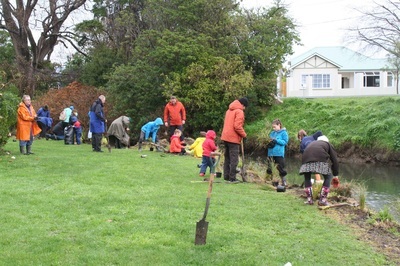 Find out more about the Friends of Waiwhetu Stream by visiting their website www.waiwhetu-stream.org.nz. 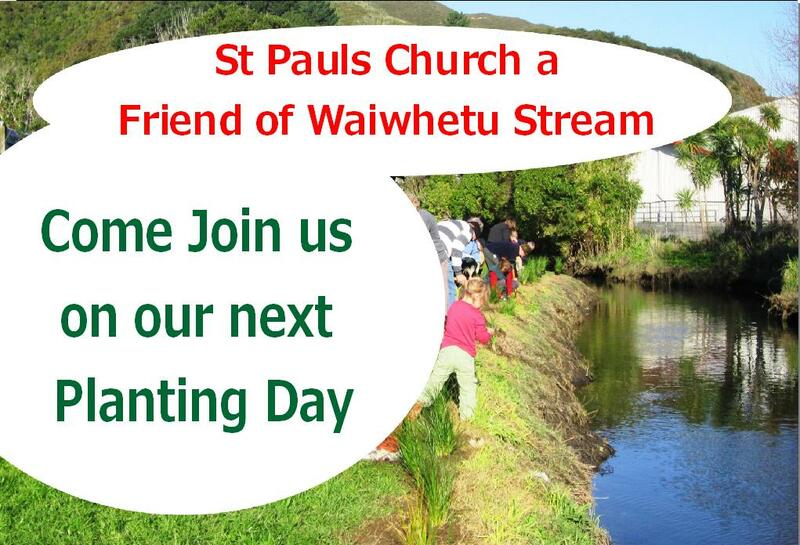 St Pauls is currently looking for someone to be the co-ordinator of this project in the church. 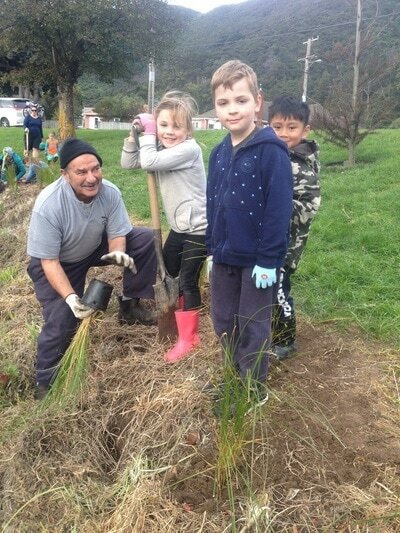 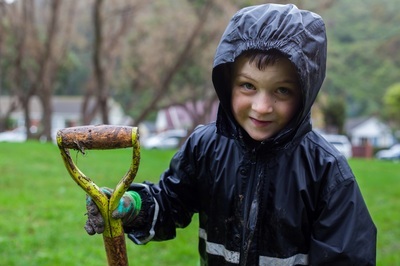 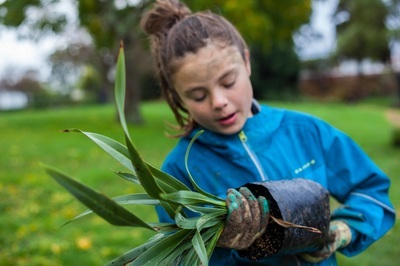 This role would include liaising with the Hutt City Council and Friends of Waiwhetu Stream to arrange 1-2 plantings a year in the planting season (Winter), organising volunteers for plantings, communicating with the church about events and news. 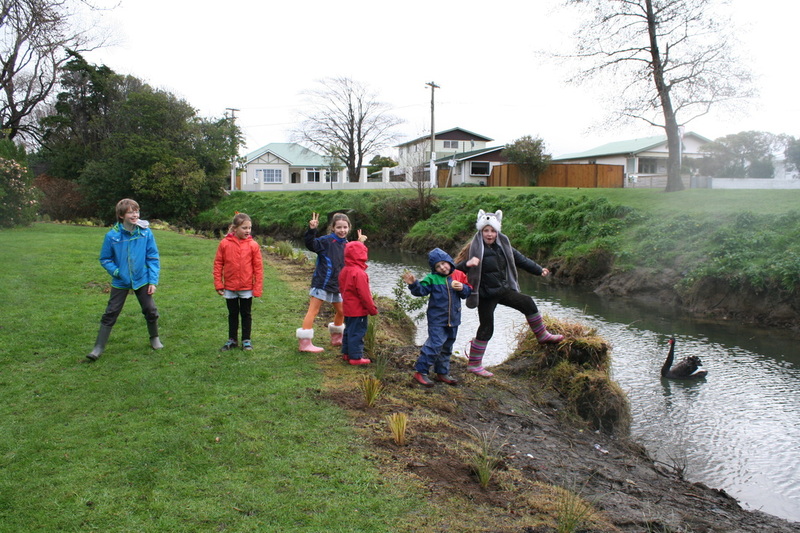 If you are interested in this role please speak to Caro Willis for more info. 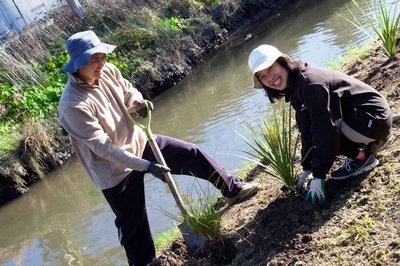 For further information contact Caro on 972 2307 or 021 124 8354.